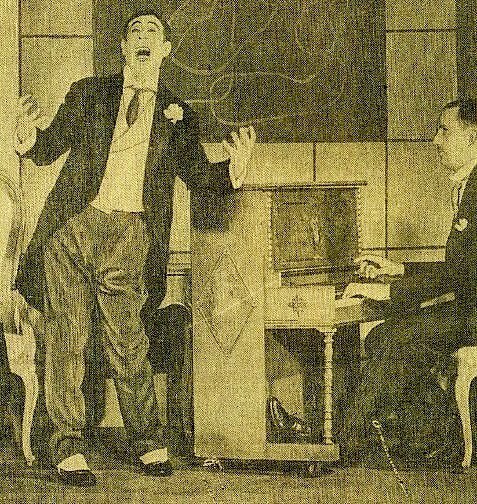 A LITTLE SONG, A LITTLE DANCE: Musical Revues of the Early ’30s (III) | THAT'S ENTERTAINMENT! Considered the missing link between the Ziegfeld Follies of 1934 and 1936, this jaunty and satirical musical revue marked the first full score collaboration of composer Harold Arlen with lyricist E.Y. “Yip” Harburg, who was also assisted in this show by Ira Gershwin. 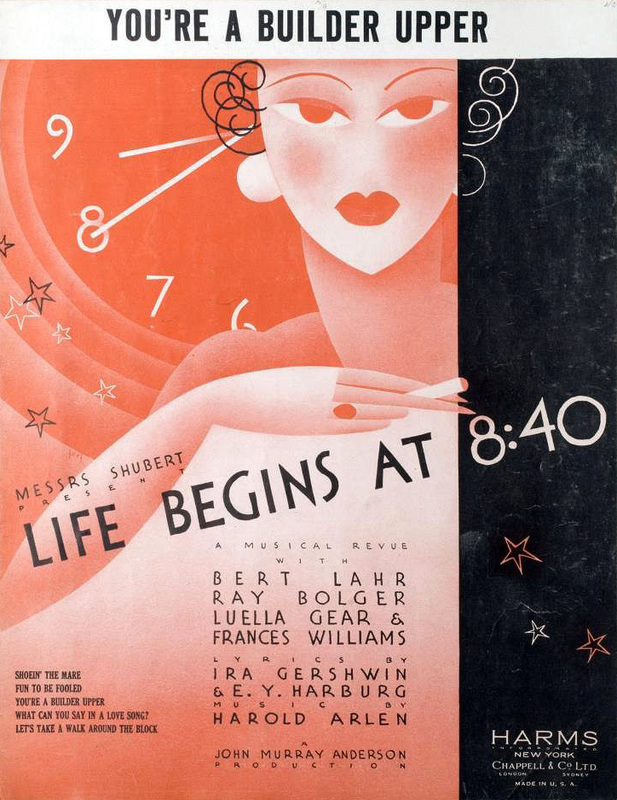 While the sparkling score remains a testament to the show’s high entertainment value, Life Begins At 8:40‘s real prize was its radiantly eclectic cast, which included Ray Bolger, Brian Donlevy, Luella Gear, Frances Williams, Dixie Dunbar, Esther Junger, and the highlight of the proceedings, Bert Lahr. This ‘Cowardly Lion in training’ shone in sketches parodying the sophisticated English drawing room comedies (“Chin Up”), send ups of Noel Coward’s wonderfully shocking Design For Living (“C’est La Vie”), and specialty bits lambasting society recitalists (“Things“). Also a big song hit was Williams’ wistful “Fun To Be Fooled.” This particular rendition is from 1942 by the soothing Lee Wiley. An example of the score’s sophistication can be found in “Quartet Erotica,” in which Lahr, Bolger, Brian Donlevy, and James McColl play Balzac, Boccaccio, de Maupassant, and Rabelais, respectively. Take a listen to the lyrics in this 2010 recording. I wish that I were able to share all the great numbers from this score with you. There are many, like “Let’s Take A Walk Around The Block,” another one of the show’s hits, “What Can You Say In A Love Song (That Hasn’t Been Said Before)?,” a satirical romantic duet, “Shoein’ The Mare,” a Latin flavored dance number, and “I’m Not Myself,” Bolger’s delightfully manic solo. But I think I’ll end today’s post with Luella Gear’s mock torch song, “I Couldn’t Hold My Man.” This is Faith Prince from the 2010 recording. Come back next Monday for another early ’30s revue! And tune in tomorrow for the best from Season Two of The Mothers-In-Law!